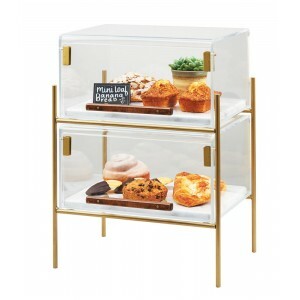 Mid-Century Pastry Cases - Cal-Mil Plastic Products Inc. Create an upscale feel by using the Faux Marble Pastry Case! The Faux Marble is removable, making it a breeze to restock pastries, and the wooden handle adds the perfect touch of vintage design.